A few things went wrong at the Brits. Chris Martin wore a short sleeved tee over a long-sleeved one; only two members of One Direction made it (and not the good ones). 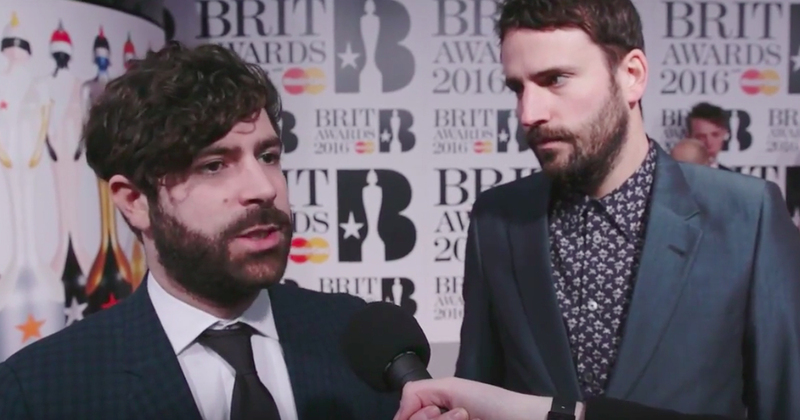 And Foals had a bit of a shocker: drummer Jack Bevan has revealed that they were running so late to the ceremony that they had to hitch a ride with a pizza delivery driver. This morning, on Twitter, Bevan delivered a debrief of their messy Wednesday night. He explains that the band’s taxi took a wrong turn, leaving the band trapped on the wrong ride of the river, miles away from the O2 Arena in Greenwich. The lads – dressed in black tie – stuck their thumbs out. And a guy delivering pizza came to the rescue. This is what happened. On the way to the Brits the other day our cab took us the wrong way and we were stranded North of the river in gridlock traffic…. … Anyway, I didn't remember his name as I ran off but he owns TGF pizza in Eltham, SE9. So yeah, if his pizzas are as good as his getaway driving, i would definitely recommend. Critically forget to mention that were incredibly late, hence the hitchhiking. Presumably, Foals will be making a trip to TGF Pizza in Eltham to say thanks.